Would you like to see our range of sensory equipment? 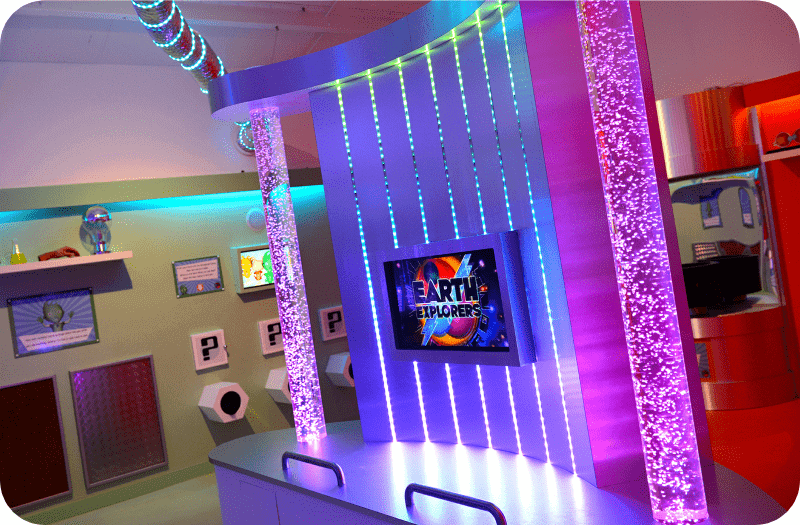 Apollo Creative designs, develops and manufactures sensory equipment for immersive multi-sensory rooms. 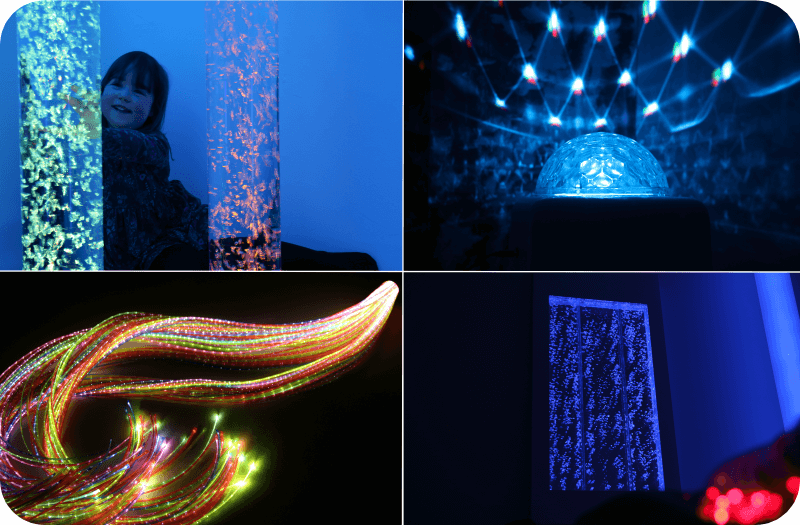 Working with a strong network of distributors around the UK to provide you with high quality sensory equipment including Bubble Tubes, Interactive Panel products, Fibre Optic Lights and much more. Find out all about Apollo Creative. As manufacturers of Sensory Equipment we are looking to work with distributors who would like to sell our product. With many years experience in manufacturing you can rest assured Apollo Creative delivers to very high standards. 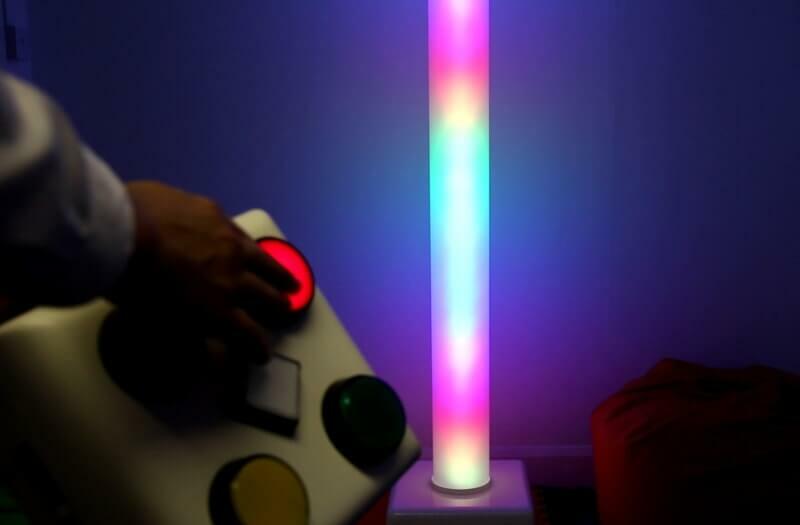 Apollo Creative manufacture a variety of high-quality sensory equipment. We provide this equipment to UK based distributors. Discover more information on individual products including Bubble Tubes, Fibre Optic Lights and much more. Apollo Creative take projects that use bespoke sound and lighting systems. Our experienced team will creatively work with you to achieve your requirements, take a look at just a few examples of our work and get in contact with your requirements. Introducing the revolutionary new assistive technology switch, Emego. 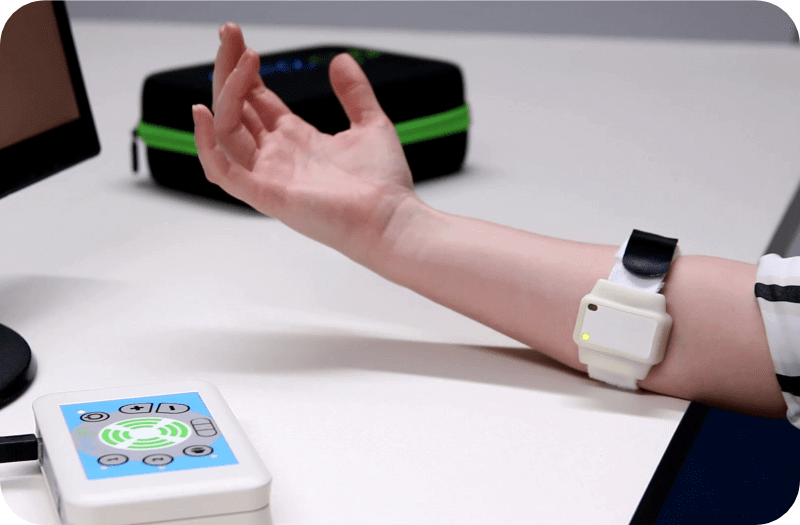 Using wireless Bluetooth® technology Emego detects small muscle movements and translates them into switches. This enables the user to control switch based applications completley wirelessly. You can download the Apollo Creative brochure by clicking here. The brochure is packed full of the sensory equipment we offer as well as information about our business. Get in touch to request a printed version of the Apollo Creative brochure. The latest products, projects and interesting articles from Apollo Creative. As specialists in interactive light and sound technology not only have we worked extensively in the education sector we’ve worked with some top names in the exhibition and retail sector to supply and incorporate a range of our products that enhanced their environments. 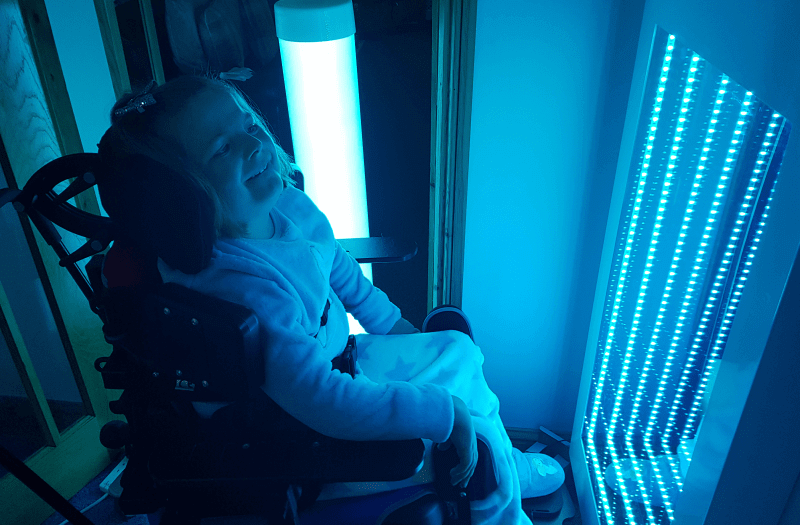 Immersive multi-sensory rooms create a relaxing and engaging experience for those with special needs or they can be a unique installation to engage the public’s senses. Our project work has ranged from working with day care centres to outdoor sensory gardens, always meeting clients’ exact specifications. Our products are used throughout the UK and everything we do is built on-site in Knaresborough, North Yorkshire. 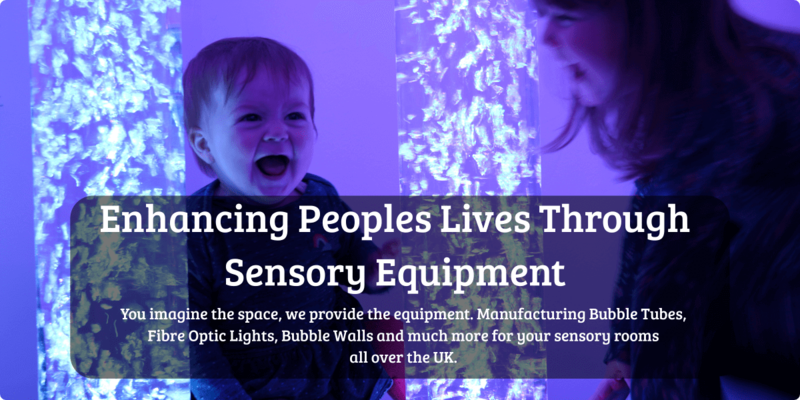 If you have any questions about creating your own sensory space or you would like to find out more about any of our products, please get in touch. 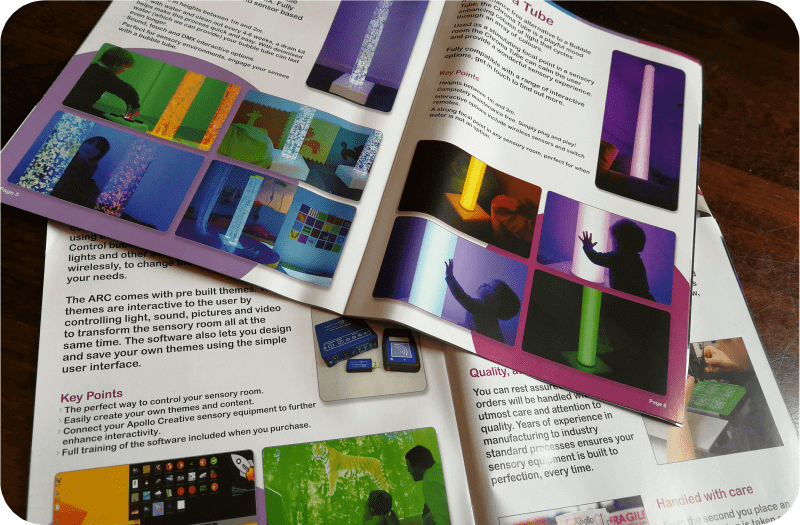 The Apollo Creative brochure is packed full of pictures and information about our sensory equipment. We’ll e-mail you a PDF file of the brochure (don’t forget to check your junk mail in case it doesn’t come through straight away) or if you’d prefer let us know where to post a printed copy. Yes please, I'd like to be kept updated about the Apollo Creative.